I came home to stay at my parents' house for the weekend, and found that my dad had brought home a giant flat of strawberries he picked up at a local roadside fruit stand. 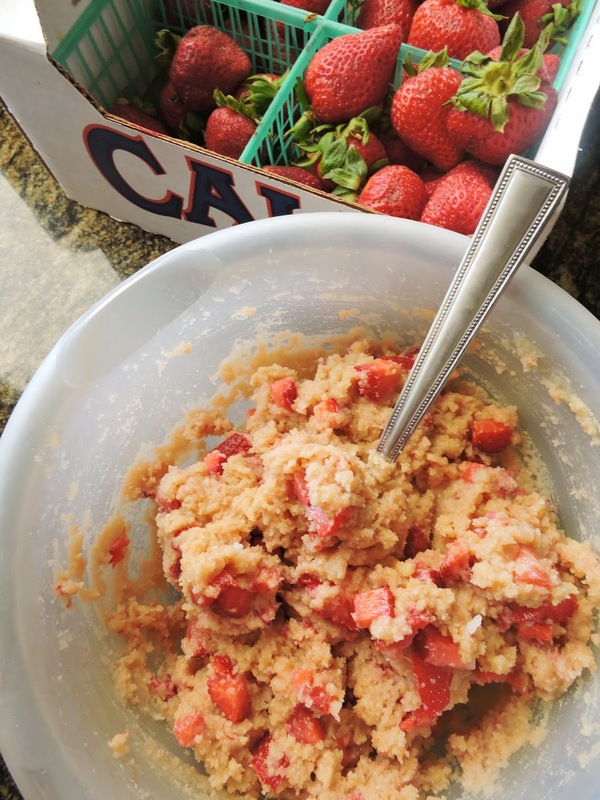 I was feeling creative, which resulted in two new recipes packed full of fresh, delicious strawberries. 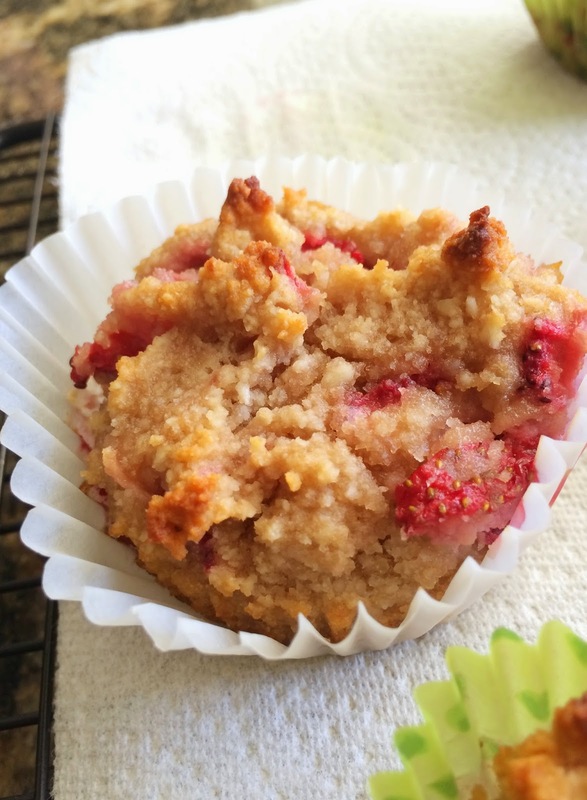 The first recipe I want to share with you guys is for these delicious muffins. 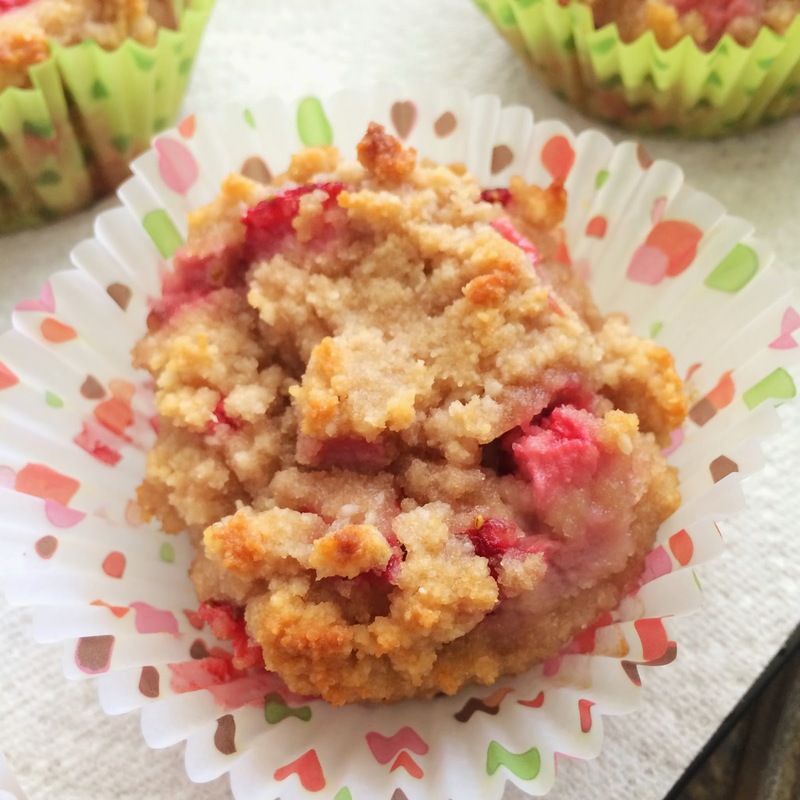 My favorite part about these rich, moist, vanilla-laced muffins is that guilt is not one of the ingredients. 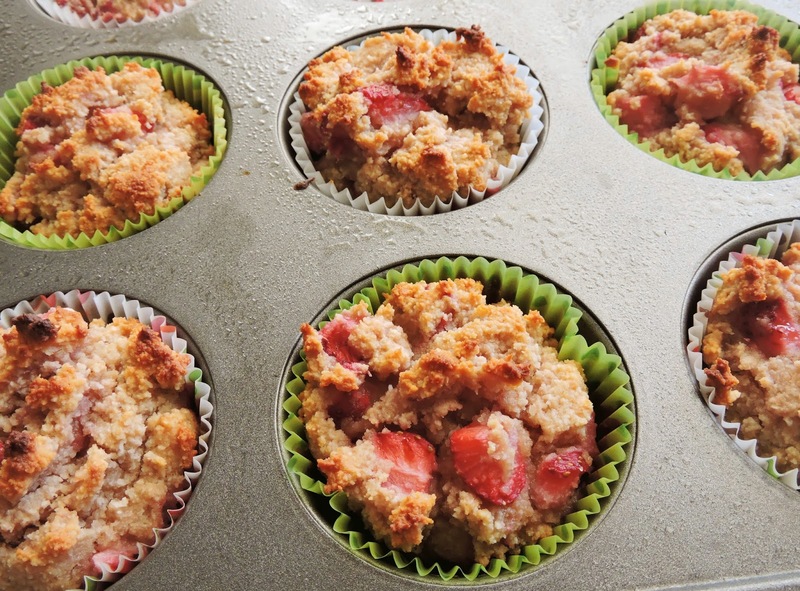 They are Paleo-friendly, which means no gluten, grains, dairy, soy, or refined sugars. And they taste amazing. You should try them out! Let me know if you do, I would love to hear what you think! In a smaller bowl, heat the coconut oil and honey until melted. Add the remaining wet ingredients, including the strawberries, and mix well. Pour the wet ingredients into the dry mixture, and stir until combined. 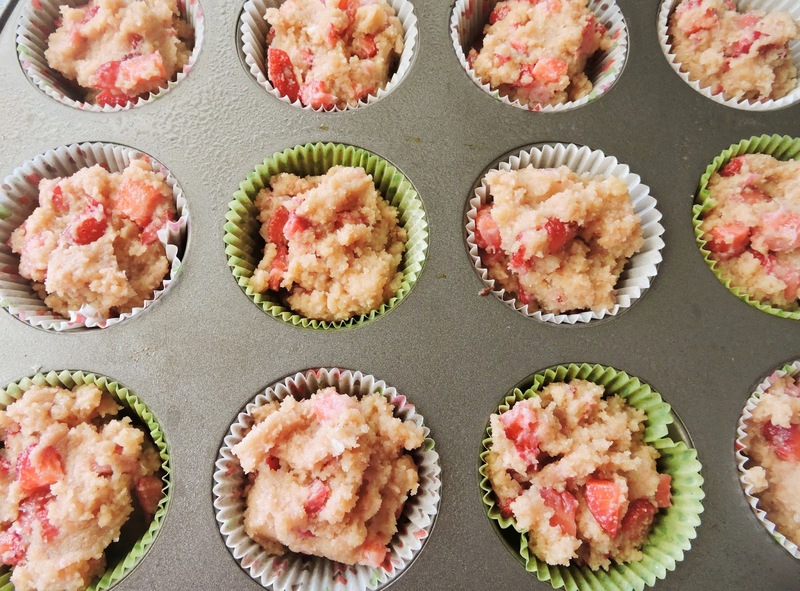 Grease a 12-cup muffin tin with coconut spray, or line it with paper muffin cups (I give those a little spray too), & scoop the mixture in. Bake at 350ºF for 18-20 minutes, or until lightly browned on top and slightly firm to the touch. Allow them to cool & enjoy! Hey Jessie, these are great. Plan on dropping them off to a friend tomorrow. Should I refrigerate them tonight? Or is it best to leave covered on the counter? Noticed that the chocolate zucchini bread spoiled after 5 days of leaving it out covered on the counter. Many thanks!! Does the honey leave a "taste" in the recipe -- I feel like I can always taste the honey rather than it just being a sweetener that disappears into the other flavors. Could I sub in maple syrup?